Today I bring you a story labeled premonitory, where precise details are mixed, concrete similarities and that even in the differences between the two parts of the story that I will proceed to tell you later, there were certain resemblances. Paranormal elements are introduced in this story, where even certain parapsychologists discuss whether our protagonist enjoyed premonitory powers or communicated with spirits. The cries of terror from the passengers and the crew of that huge, half-sinking transatlantic flooded the serene glacial night of the North Atlantic Ocean. The huge iceberg watched impassively as people of high birth and low class drowned. Without enough lifeboats, only a few individuals manage to save themselves from the icy jaws of the dark and immense ocean…. Well…, you’ll think I’m referring to the fateful day that the Titanic sank, right? 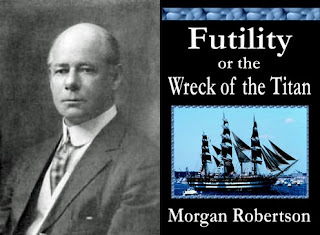 However, I am telling you part of the story that the writer and sailor Morgan Robertson portrays in his novel Wreck Of The Titan. The curious thing about this story, and although you may be thinking that the author based his work on the sinking of the famous ship, is precisely that he wrote it 14 years before the by all known events. The most obvious perhaps, the name of both boats: Titan/Titanic. 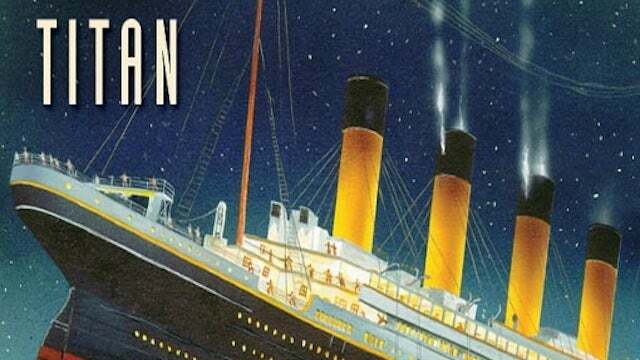 Both were considered unsinkable since they had a system of compartments that when detecting water inlets were hermetically sealed with automatic metal doors. They were the largest ocean liners ever built to date. They both started the trip on April. Their lengths were very similar: Titan-244m./Titanic-269m. The Titan carried 20 lifeboats and the Titanic 24 lifeboats, both insufficient for the stipulated maritime security for boats of that length at that time. Both worked with a 3-blade motor. The Titan developed a power of 40,000 horses while the Titanic developed 46,000 horses. Both boats collide with an iceberg around midnight and with a few miles separating the site from one accident to the other. The Titan crashed at 25 knots of speed 400 nautical miles from Newfoundland. The Titanic crashed at 23 knots of speed and 400 nautical miles from Newfoundland. Both ships were owned by a British shipping company called White Star. They had all the luxuries and comforts of the time. They had improvements in the main engine that made it less risk of fire in it and gave them more speed, using coal as fuel. On both ships were about 3,000 people, including crew and passengers. In the Titanic died 1,514 people of the 2,223 that were on board. In the Titan about 3,000 people died. 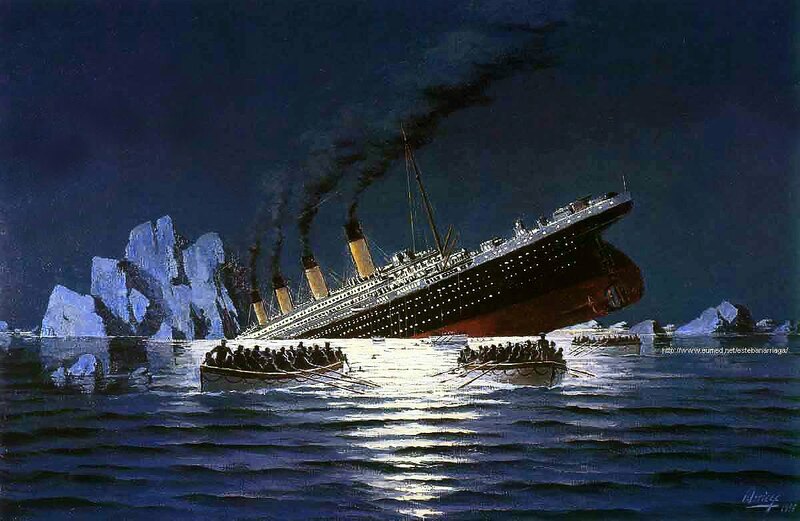 The accident originated in the inaugural trip of the Titanic while the Titan had already made a few trips. The routes are the same but in reverse: the Titan goes from New York to England and the Titanic goes from England to New York. The Titanic was part of a family of 3 ships (the Olympic and the Britannic) while the Titan was unique. 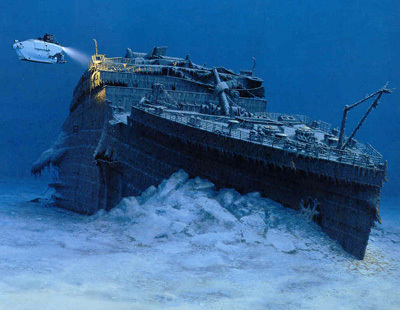 The Titanic sank on April 15th, 1912 and the Titan in the same month of April of the year 1898. This series of similarities and coincidences that Morgan Robertson claimed to have extrasensory relationships with an entity, brought fame to both. Robertson claimed not to write his novels, but these were dictated by a spirit that communicated with him. Another interesting detail in this story of the powers that are attributed to him, is that this writer coincidentally wrote in 1914 and just before his death, a short story called Beyond The Spectrum, which tells a hypothetical war between the US and Japan and the use of weapons of mass destruction with effects very similar to those of nuclear bombs. This work is considered by the community of parapsychologists as a proof of the existence of extrasensory powers. Morgan Robertson died in 1915 from an overdose of drugs against rheumatism, taking with him the mystery of the spirit that dictated the events. This Article has Earned 3649 Tokens. Titanic is a ship of our great past. Personally the Titanic movie is most loving movie for me. 14 years before!!! That’s crazy! Yep! Well, the spirit could have whispered him the lottery number, hell. You believe in coincidences? Maybe there are too many, but I think that they all are. Well, I’m not sure how to catalog these events; Of course, there are many coincidences but I do not rule out the mystical or paranormal theme that they attribute to him. It is difficult to know for sure; people even talk about conspiracies. Great source of information about the titanic! people get upset when thinking about conspiracies but the titanic is a dark story. A stomping story. The sinking of a titanic ship, I’ve watched this story in the film. Very sad. Thank you for sharing this story again. That’s remarkable, I can’t wait to run this past my buddies. Thanks, Miguel. Interesting. Given 5. Please rate my post also. I think it’s not a well-known story so I try to shed some light on one of the many mysteries that surround us. Pretty interesting story, thank you! Not having much time to write on these days but soon I’ll be able to write something new. Thanks for sharing bud, very interesting indeed, I never heard of the Titan before this, everybody talks about the titanic, wonder why? This story of Titan and Robertson is not well known, the truth, although to me it still seems a great mystery, even greater than the sinking of the Titanic itself. Thanks buddy and Merry Christmas to you both! Wow! This is very big! I did not know about this conspiracy theory. I added the video on YouTube to watch it later.